Solihull Barons had the best of the weekend Moralee action with a 4 point weekend that guarantees their place in the play offs and also went some way to settle other issues at the top of the league table. On Saturday night they beat bottom team Sheffield Senators 4-7 away – making it 28 defeats out of 28 starts for the team who already relegated. On Sunday night they beat title challengers Whitley Warriors 6-4, inflicting the north east team’s first defeat in 10 games and effectively ending their championship ambitions. With league leaders Blackburn Hawks shutting out Telford Tigers 4-0 on Sunday, it means that the Hawks only need one point from their 3 remaining league games to win their second league title in a row. 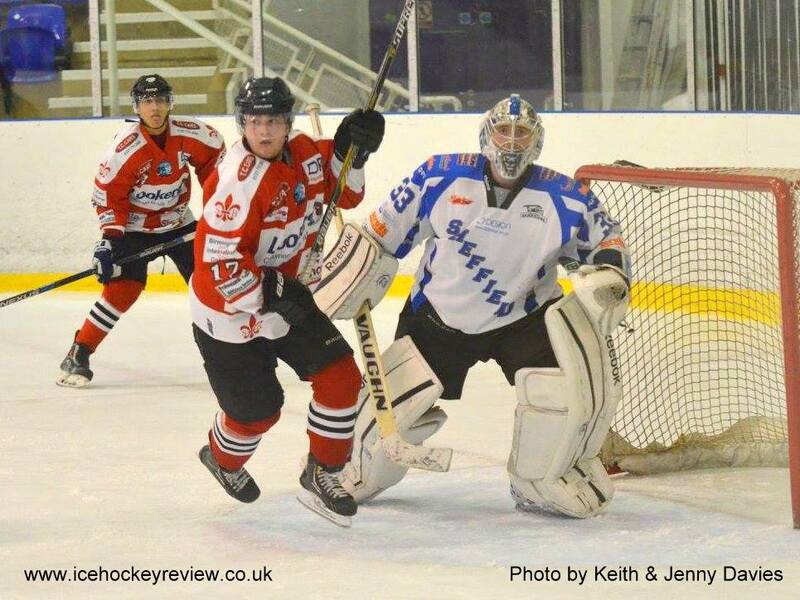 Solway Sharks picked up three points out of a possible 4 with a 4-6 win over Sheffield Spartans on Saturday and a 3-3 draw back at iceSheffield again on Sunday against Sutton Sting. Those results mean that the three iceSheffield teams currently occupy all three bottom places in the table and that the Spartans will now definitely finish second from bottom and take part in the relegation play-off against the team that finishes second in the Laidler Conference. 5th place Billingham Stars won 1-9 away at Sheffield Senators on Sunday night and are level on points with 4th place Solway, although the Sharks have games in hand and look most likely to take the last play-off spot.